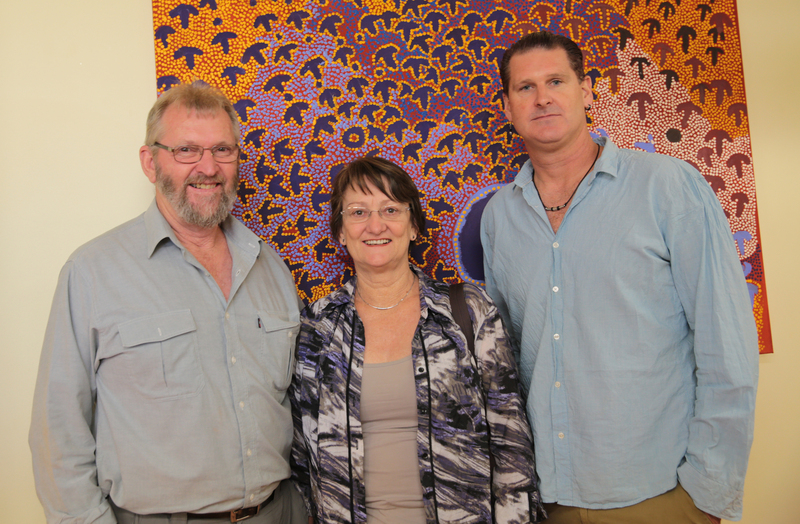 As part of a larger visit taking in a number of communities around the Ngaanyatjarra Lands, National Party MLA for the seat of Kalgoorlie, Wendy Duncan and her husband Ian, called in to Irrunytju and visited both the NG Media Centre and the Minyma Kutjara Arts Centre. While here she met with staff in the music studio and editing suite, joined us for lunch and then did a radio interview with presenter, Marcia Mitchell, before visiting the Arts Centre. During the interview, Marcia asked Wendy about why she is visiting, about mining companies on the Lands, about what she thinks of the country, and about the importance of NG Media. 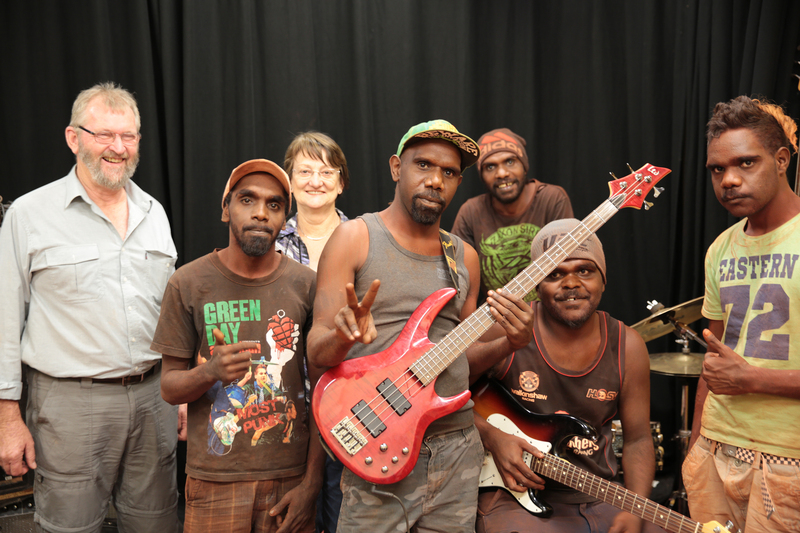 Wendy's response to the Yarnangu people was that NG Media is important because "your stories and your language and your culture can be shared not only in Australia, but with the rest of the world. And that is very important and it is good to keep your language and culture strong." You can listen to the whole interview by going to the Featured Podcast section on the Radio NGM page.